Brian Teefy is a Director in StrategyCorp’s Public Affairs group. Brian works with private, public and non-profit clients to develop innovative solutions to public policy challenges. Brian’s experience and engagement in the provincial policy arena help him stay on top of emerging trends and issues in provincial politics. During a near decade-long tenure at Queen’s Park, Brian served in progressively senior roles at Queen’s Park, including Senior Policy Advisor to the past two Premiers of Ontario and as Chief of Staff to Ministers of Children and Youth Services, Municipal Affairs, and Community Safety and Correctional Services respectively. Brian has helped Mayors, environmental organizations, non-profits, and businesses to solve complex problems and navigate the public-sector landscape. As a policy advisor, Brian helped design and deliver the largest public investment in affordable housing in a generation and transform housing and homelessness programs. He has also developed policies to encourage smart growth and lower greenhouse gas emissions and transfer a globally significant research and development area to provincial control. 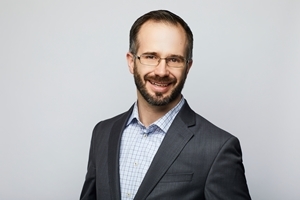 Using a policy and fact-based approach, Brian has worked with clients and in government to manage the implementation of challenging public policy decisions including program changes, service re-locations, and issues management files with a high public profile. Brian has also volunteered on a number of election campaigns, including the previous three Ontario provincial elections and the 2008 Presidential election for Barack Obama. Brian is a graduate of Carleton University’s Arthur Kroeger College of Public Affairs.